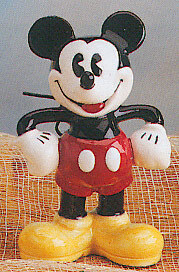 Ceramic Mickey Mouse standing in cute poses. This is the second of a three Mickey Figurine series. Collect all three in the series for best decorative results! Each figurine stands at 4" tall.